Who's a fan of potato chips and dip?? I definitely am, and if you are too, today's recipe is for you! 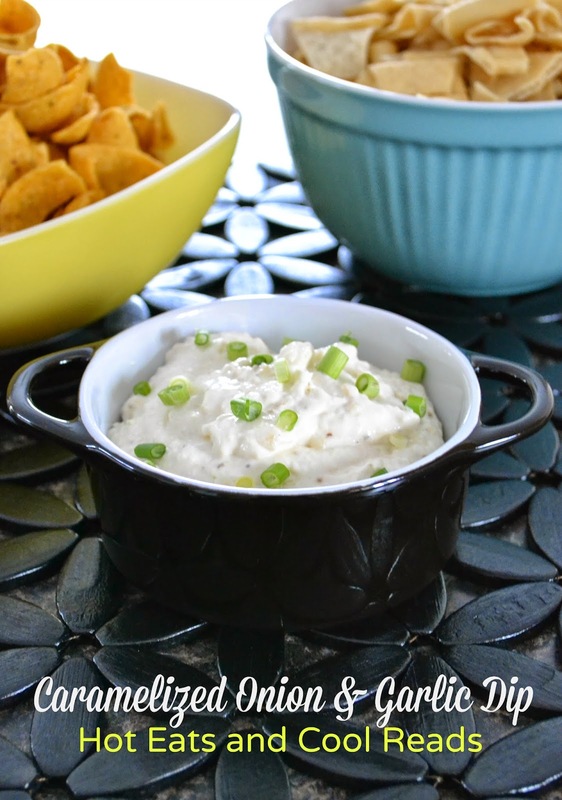 This Caramelized Onion and Garlic Dip is just short of amazing!! I had a jewelry party at my house yesterday, and served this and a couple other dips to the ladies that stopped by. But this dip by far, was my favorite. You know those french onion chip dips at the store? This is similar to that, but made at home and even more delicious! You can whip some up at any time without a trip to the grocery store! I started by sauteing the onions and garlic in the new I Can't Believe It's Not Butter!® Spread until they became caramelized. Caramelized onion and garlic is amazing, and the new I Can't Believe It's Not Butter!® Spread makes it 40% fewer calories and 70% less saturated fat than butter, so better on the waistline. I'm all about lower calorie and fat alternatives these days. It also offers a fresh butter taste to add flavor to any meal, and can be used for spreading, topping, sautéing, cooking or baking. Even better, The new I Can't Believe It's Not Butter!® is made from real, simple ingredients you can recognize like a delicious blend of plant-based oils, purified water and a pinch of salt. It's the first spread from Unilever in the U.S. to be made from non-GMO sourced ingredients. I love when companies make their products from simple ingredients! I'm usually a 100% butter user, but after trying this new recipe, I will definitely be using I Can't Believe It's Not Butter! more at our house! I love that it's spreadable straight out of the refrigerator, so there's no need to wait for it to soften! In a large saute pan, melt the I Can't Believe It's Not Butter! over medium heat. Add the onions and garlic and saute for 10 minutes. Then add the brown sugar, saute for another 10 minutes, until onions soften and caramelize, stirring often. Remove from heat and cool completely. In a food processor, combine onion mixture, cream cheese and sour cream. Process until smooth. Refrigerate or serve immediately. When serving, garnish with sliced green onions. 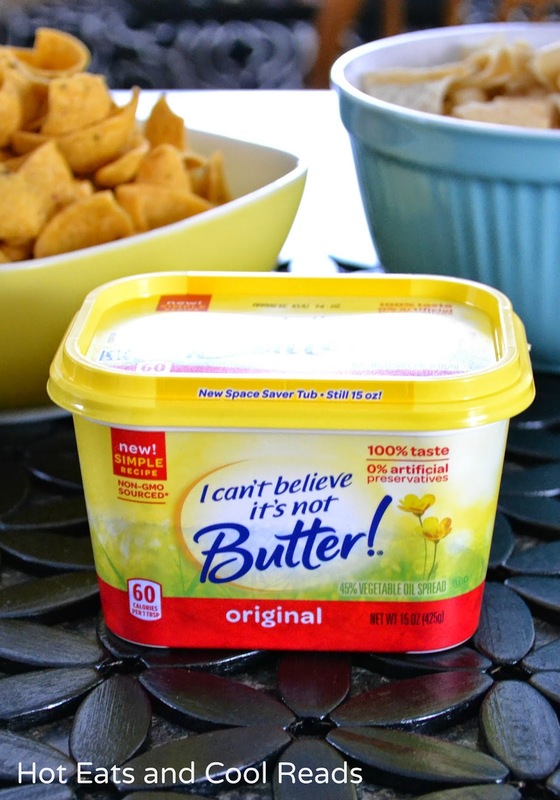 The new I Can't Believe It's Not Butter!® is available in grocery stores nationwide beginning October 2014 for a suggested retail price of $3.09. This new recipe is offered in the Original, Light, and Olive Oil varieties. Visit us at www.icantbelieveitsnotbutter.com to learn more and for more great-tasting recipes, visit www.icantbelieveitsnotbutter.com/recipes. Sheena, I'm agreeing with Beth on this one!! LOVE! LOVE! 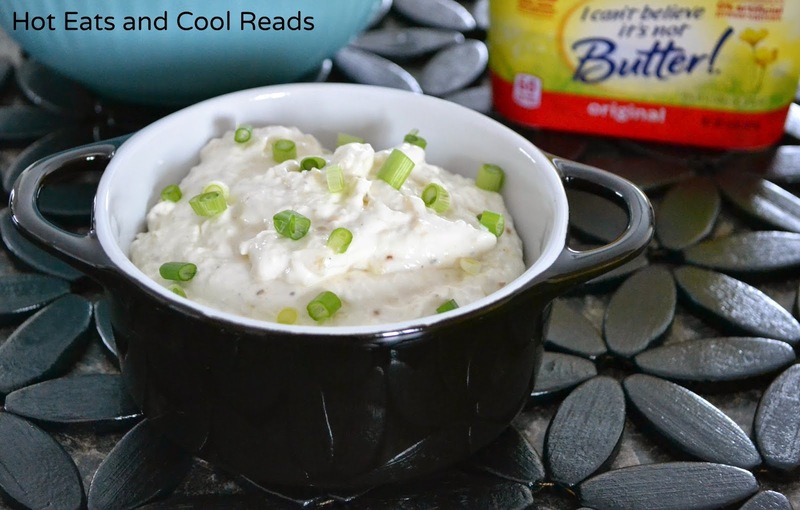 This is the perfect game day dip! I love dips and this one sounds so good! We love I Can't Believe It's Not Butter too! Carmelized onion AND garlic? You speak my language! I am such a dip person! I love how you put caramelized onions in this! Perfect! This time of year makes me crave dips! I will be saving this recipe for my holiday party this year! I too love that you don't have to wait for it to soften. So much easier for things like toast!!! This dip looks yummy. I don't know why I've never thought of making my own homemade onion garlic dip - this looks so easy, delicious and I love that it has less fat! This looks wonderful! I am on a caramelized onion kick lately! They are so good!! Your dip looks wonderful! I was thrilled to see it at #FoodieFridays...pinning and sharing!! Man I love a good dip and I'm always looking for a great new recipe, looks like I found one! Combination of cream,garlic and green Onion looks very fabulous and Delicious.so much tasteful recipe.